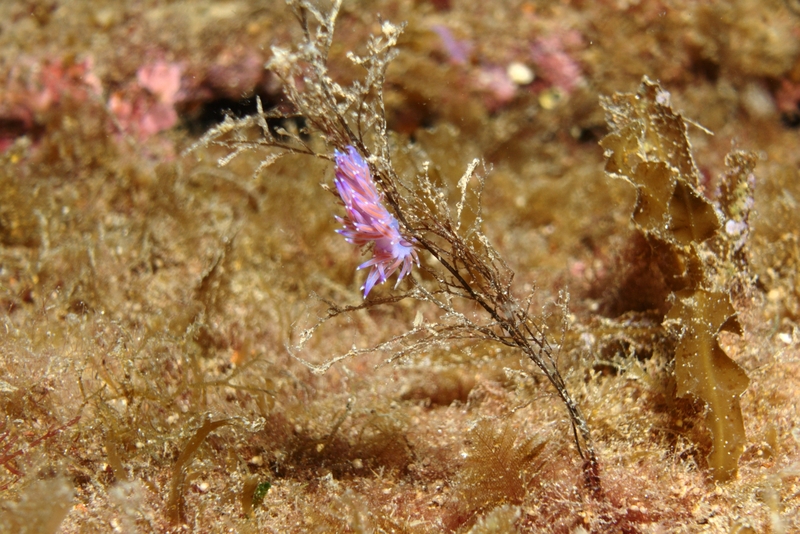 A tiny Flabellina affinis alongside the Rozi. For this shot, I took off the wide-angle lens just to get a full, crisp zoom through. Not the best composition—the subject isn’t nicely framed and the aperture could be open more—but a good experiment in switching out lenses. This work is licensed under a Creative Commons Attribution-ShareAlike 4.0 International License. Please attribute Kristaps, the photographer, with a link to kristaps.bsd.lv/photo0057.html.